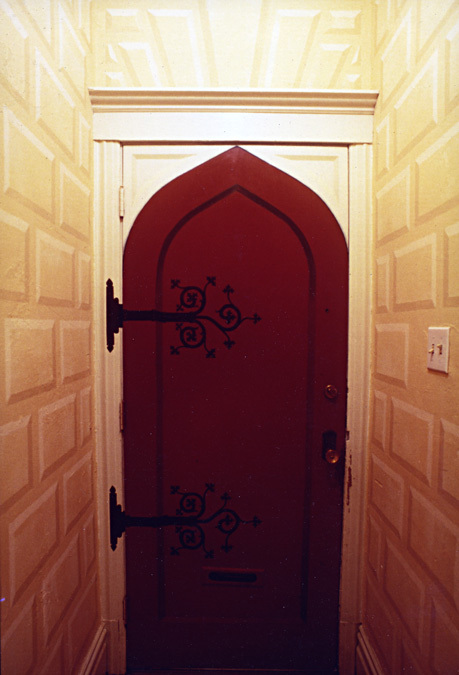 Trompe-l'oeil doorjamb and strap hinges, with blocking painted on the walls. A simple way to dress up an otherwise uninteresting, rectangular hollow-core door. 42 inches wide by 90 inches to top of molding.